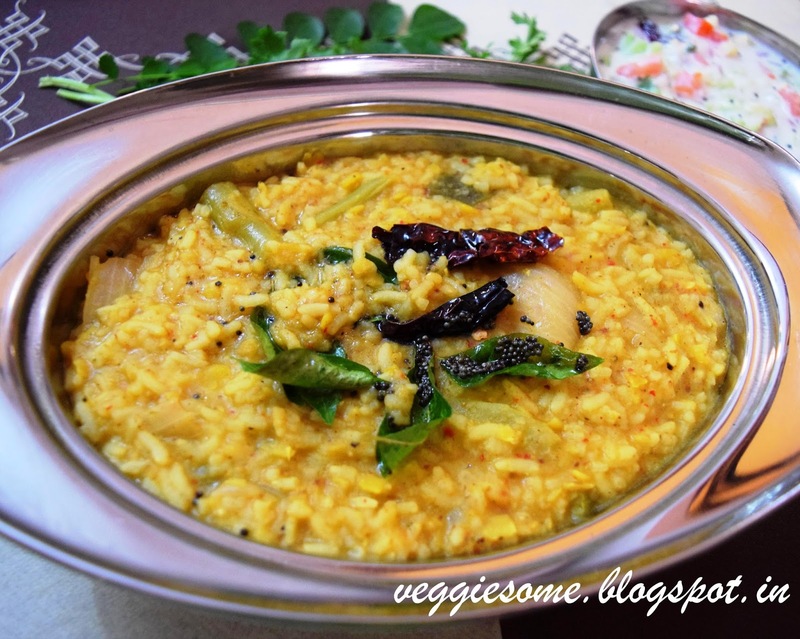 An authentic dish from Karnataka, Bisi bele bath (BBB) means hot lentil rice in Kannada. This dish is a perfect combination of carbs, protein and vegetables flavoured with the most aromatic spices. Cook this one-pot meal for a party or for the lunch box and it is definitely going to please your loved ones. This method explains making BBB in a heavy bottomed vessel instead of a pressure cooker. This way the flavours are released slowly into the dish and make it delectable. You will love the result. 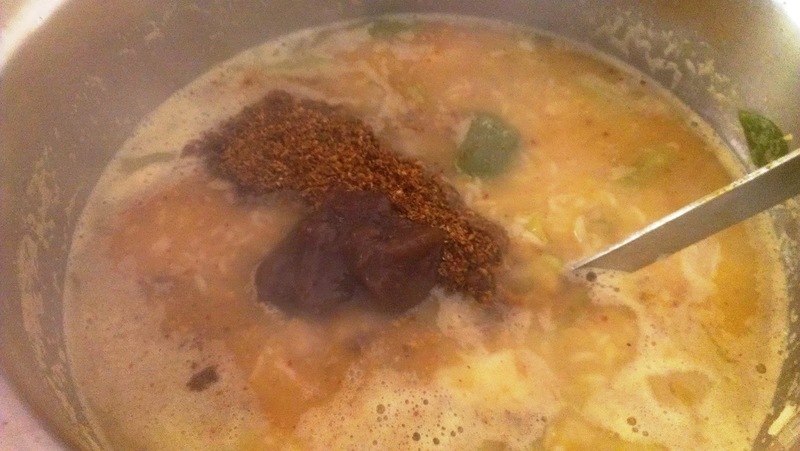 Just be careful to ensure the dal doesn’t stick to the bottom. 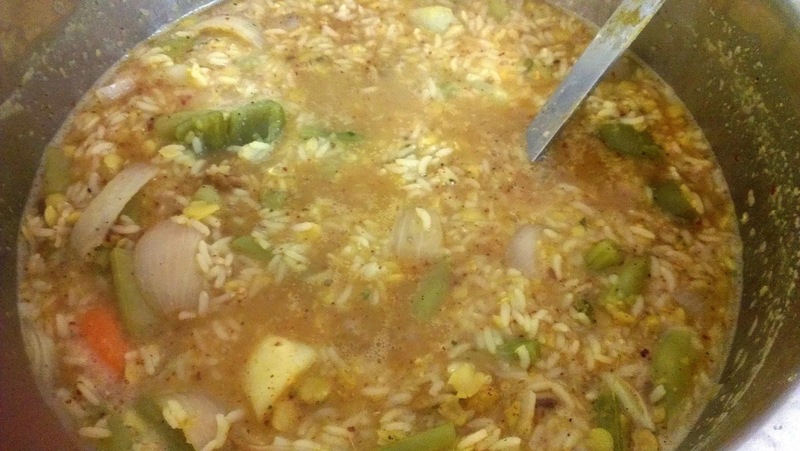 Soak the dal and rice in water separately for 30-45 minutes. 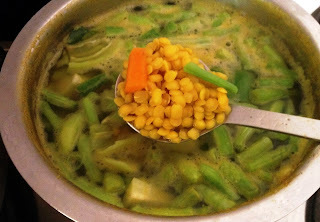 Boil water in a heavy bottomed vessel, add dal first. Cook till dal is half done. Then add vegetables. Cook for a few more minutes. 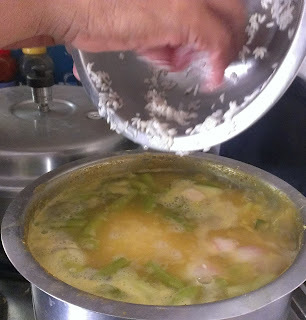 Finally, add rice and let it cook for a few more minutes. Check consistency of rice and dal, when it is almost cooked (say 80%), add BBB powder, tamarind paste, jaggery and salt. Mix well and check seasoning. Add hot water if the BBB is becoming thick. It has to be of a porridge consistency. Once the rice, dal and vegetables are well cooked and soft, switch off the gas. Heat oil in a pan and add mustard seeds, red chillies and curry leaves. 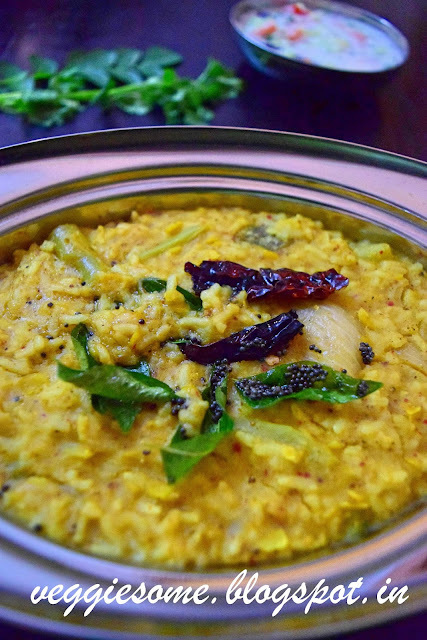 Add tadka to your BBB and you are all set for a healthy and tasty meal !!! If you are in a hurry, you can just put all ingredients (except tadka) into a pressure cooker and cook for 3 whistles. Then adjust the consistency by adding hot water. You can also use MTR bisi bela bath powder if you don't have time to make the powder. You can omit capsicum if you feel it may dominate the flavour. You can add onions to the tadka. Do not use Basmati rice for BBB. I am sharing this with Jacqueline's "Meat free Mondays". Did you know you can shorten your long links with AdFly and get money for every visitor to your short links.